Thanks to everyone who have helped the Norphan's cause to help area children and families representative of North Catholic. 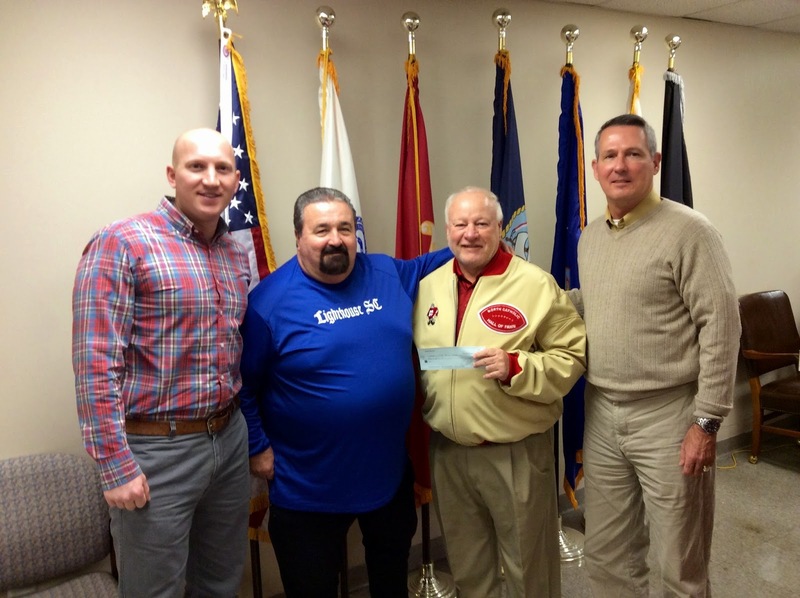 On Thursday, December 4th, Jason Marquess, Class of '67 Norphan presented the Veteran's Multi-Service Center in Philadelphia a contribution to help its cause. VMC exists solely to "serve those who served" our country. It is the only area not-for-profit organization that provides comprehensive resources to all Veterans in need. This group serves 2,500 local veterans each year, providing everything from food and housing to health care and job retraining. Seen below on the left is Harry Lincoln Strehle, NC Class of '98 and next to him is Jack O'Neil, NC Class of '66. It is worthwhile to visit them if you get a chance. It is located at 213 N. 4th Street, Philadelphia, PA 19106.